Undergraduate students across a variety of faculties, including business, computer science, interactive arts and technology, and engineering recently got a chance to showcase their solutions for sustainable transit, thanks to TransLink. 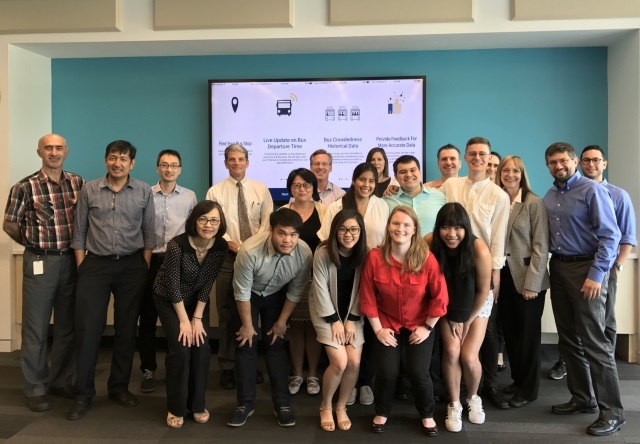 In February this year, CaseIT presented PIVOT, a local undergraduate ideathon proudly supported by TransLink. Beginning as a spark to an idea, PIVOT was conceptualized in 2018 to celebrate CaseIT’s 15 year anniversary within the Vancouver business community. TransLink proudly supported PIVOT as a theme sponsor, providing powerful insights to this year’s theme of traffic congestion.